Benjamin H. Flores, MPH is President and Chief Executive Officer of Ampla Health, headquartered in Yuba City, California. Ampla Health, a Federally Qualified Health Center with 13 medical and 6 dental centers in Butte, Colusa, Glenn, Tehama, Sutter and Yuba Counties serves more than 70,000 members in Northern California. Mr. Flores was named to this position in April 2009. 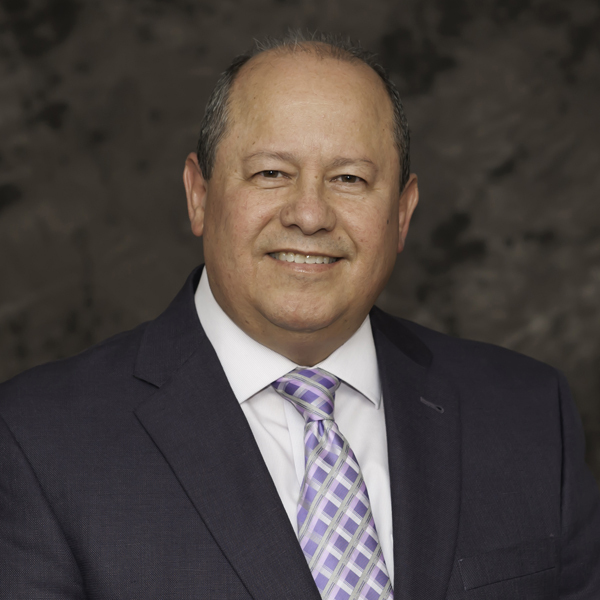 Mr. Flores also serves as President of the Central Valley Health Network (CVHN) Board of Directors and is an elected member to the Board of Directors of the California Primary Care Association (CPCA). The National Association of Community Health Centers (NACHC) has recognized Mr. Flores twice, with the Louis S. Garcia Health Services Award in 2001 and the Outstanding Public Service on Migrant Health Award in 2004. A strong commitment to diversity and interethnic healing led Mr. Flores to his current post at Ampla Health. Creating a solid primary care infrastructure and providing high quality, affordable accessible healthcare to the underserved population sector, Mr. Flores believes, is vital to the health of a nation. Mr. Flores holds a Medical Doctor degree from the National University Autonomous of México and a Master of Public Health degree from the School of Health, Loma Linda University. Prior to joining Ampla Health, Mr. Flores was Chief Executive Officer (CEO) of United Health Centers of the San Joaquin Valley, a Migrant/Community Health Center with headquarters in Parlier, California. During his 29 years of health care management experience he has held several senior management positions, including Director of the Office of Minority and Special Populations and Chief of the Migrant Health Branch within the Bureau of Primary Health Care, HRSA, U.S. Department of Health and Human Services; CEO of the Washington Association of Community and Migrant Health Centers; CEO of Columbia Valley Community Health; CEO of Barrio Comprehensive Family Health Care Center; CEO of South Plaines Health Provider Organization; and Administrator of the Blythe Family Health Center.